At Ireland Bank, we know that you, our customers, are our most important asset. You are the reason we are bankers and we want to protect you in every way possible. Now more than ever, we all have to work together to ensure that our entire community remains safe and secure from fraud and theft. 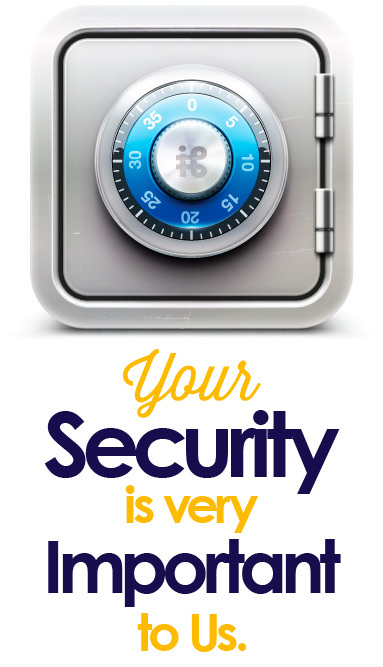 At Ireland Bank, we work very hard to keep your personal information safe and secure. We want you to feel confident when you bank in our branches or use Ireland Bank’s online channels. We have put many security systems in place to protect your personal and account information. We also know that you are our best asset when fighting identity theft. Keeping your information safe and secure can be best achieved by being vigilant when using your checks, debit cards, and electronic channels. Additionally, by taking a common sense approach to protecting your information, you can help ensure that your financial security and personal identity remain safe and secure.